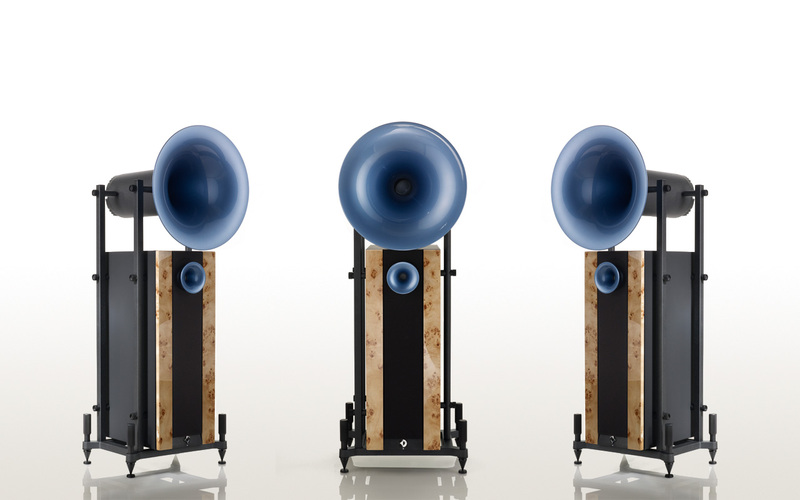 With its graceful spherical 20 inch horn the Uno XD is the quintessential entry into the world of Avantgarde Acoustic™. A true thoroughbred, the Uno XD is that rarest of things, a performance speaker that combines pristine beauty with exhilarating intensity. But above all, the Uno XD encapsulates the true qualities embodied in every Avantgarde Acoustic™ system: Power, effortlessness and pure fun. The Uno XD is exceptionally powerful, a high performance system with supreme balance, resolution and dynamics. At the heart of the system, midrange frequencies – stunnigly deep down to 300 Hz – are covered by the remarkable 20 inch spherical midrange horn powered by Avantgarde Acoustic™ ´s proprietary 5 inch M1-OMEGA driver. Above 3 kHz, the 1 inch tweeter driver H1-OMEGA with a 5 inch spherical horn complements the upper range of the frequency spectrum. Power is nothing without control, and the Uno XD is engineered for poise and accuracy at all times. Using meticulously designed CDC–technology, the midrange has no passive filter components in the signal path – routing the music signal directly to the heart of the driver engine. Less components, less interactions, less friction ensuring exceptional detail. Purity meets Performance at its best. The subwoofer SUB225 XD supplements the balance between spherical horn performance and low frequency reproduction. It is actuated by two impressive 10 inch long–excursion drivers, its generous power is provided by the active XD 1000 amplifier module, featuring an optimized 1000 watt Class-D amplifier that ensures effortless listening ability with super–speaker precision and agility even when pushed to the limits. But the major feature of the XD series becomes manifest in the completely new control panel, featuring a display and an elaborate 3-button operation that not only facilitates easy and precise adjustments of basic functions, but also accesses new advanced functions. Among them a 10 band parametric equalizer, which adjusts the bass range precisely to room acoustic requirements. And all these possibilities are even operable by a free software from PC/Windows or Mac OS computer systems. With this newly developed DSP based input section, the Uno XD will adapt even to challenging room acoustics, and can be optimized to a level where all kinds of music are presented in a truly realistic way. Room acoustic concerns and hifi technology finally step back, and recorded music comes to live with a fascinating and immediate presence. But the Avantgarde experience is not just about technology and performance. Sophisticated design is reflected in lean straigthness and elegance of form. A dream system with the intensity of fully grown spherical horn speakers, suitable even for smaller listening rooms, to transport their owner from ultimate relaxation to ultimate exhilaration.